The mission of the Wonewoc-Center staff is to guide students to be lifelong learners who believe, achieve, and succeed. Welcome WC Faculty & Staff! This new web portal will be a "one-stop shop" for information, links, and documents that you need in your daily work at Wonewoc-Center. 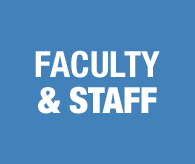 If you click (or hover over) the "Faculty/Staff Links," you will find links to the most common links that you use daily. If you have any questions or comments on any part of our website, please fill out the form below and your concerns will be addressed in a timely manner.